Stock by Parlevel, a free mobile vending app, lets drivers view their daily routes, service machines, adjust inventory, create service tickets and more. Stock is a micro market, office coffee and vending app that ties into Parlevel’s VMS, but is optimized for mobile operations. The app helps drivers service their routes more efficiently and faster than ever. It eliminates jotting notes on paper, changing inventory without recording it, or simply tossing away damaged product. Operators can monitor their drivers and keep them accountable. 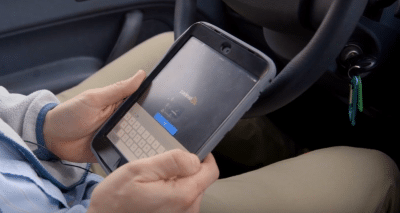 Plus, instead of purchasing handhelds to service machines in the field, operators can let drivers use Stock on their existing mobile phones or tablets – saving thousands of dollars in the process. Once routes are planned for the day using Parlevel’s VMS, a driver’s route will seamlessly sync to his phone. He can view each stop for the day on his own mobile device and know exactly what products he is stocking. The app will also calculate the fastest route to take to each location. If there is a problem with a machine, the driver can immediately create a service ticket from the Stock vending app. Expired, damaged or refunded products can be recorded on Stock and immediately synced up to the VMS. Stock is currently available on iOS and coming soon to Android.